Unlike public schools, private colleges and universities are not subsidized by the government, which means they are often more expensive. However, they are frequently viewed as more prestigious, offer a number of advantages that public universities do not, and often make up for their higher tuitions by offering scholarships and financial aid. One major advantage to private colleges is that they tend to have fewer students and thus smaller class sizes than public schools. That means that at a private college, you can expect to have more individual attention and personal contact with your professors. Another benefit to private colleges is that they are often held in higher esteem than public schools, which will help you differentiate yourself when applying for jobs. By attending a private college like Saint Catherine College, Midway College, or Kentucky Christian University, you can earn a bachelor’s degree to become a registered nurse (RN). Some RNs have only attained associate’s degrees, so your bachelor’s degree from a private college will help you stand out to potential employers such as Aetna, the Baptist Healthcare System, and the Department of Veterans Affairs. 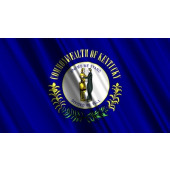 Having a higher education also makes it easier to negotiate for higher wages, making it possible to earn more than $57,000 per year as an RN in the state of Kentucky. If you’re interested in pursuing a nursing career in Kentucky, take a look at the below list of private colleges and universities with nursing programs.